A dog’s gait or the manner in which it walks is a complex series coordinated movements between its four limbs and body. For the sake simplification and discussing carpal hyperextension, we will observe that dogs actually stand and walk while on their toes as opposed to humans who are flatfooted. Figure 1 depicts normal canine stance on the left and a carpus or wrist joint in hyperextension on the right. Figure 1. Normal carpus joint on the left, collapsed carpus in hyperextension on the right. Carpal hyperextension is usually acute in nature, caused by traumatic events such as falling from a significant height1,2 or overexertion during work or play2. It is more commonly seen in large active breeds, however, smaller dogs can be affected as well3. Other causes include gradual deterioration of the palmar ligaments in older dogs1 and arthritis which triggers an inflammatory response in the joints causing swelling and joint laxity2. Finally, carpal laxity can be seen in puppies due to abnormal development of the carpal ligaments3 or poor muscle tone1. In these cases, both forelimbs are often affected and in extreme cases, laxity of the ankle joints in the hindlimbs can occur3. Treatment options for carpal hyperextension are dependent on the cause. Traumatic injury and degeneration of the palmar ligaments often require surgery since torn ligaments do not heal1. In mild cases scar tissue formation may be enough to solidify the joint and provide support, however, this is unlikely. Surgical correction entails fusing of the wrist joint in a functional position through the use of metal plates and screws. Puppies with carpal laxity may benefit from therapy to improve muscle tone in the affected limbs and improvement should be expected within 4-8 weeks. Lack of improvement may inevitably lead to surgical correction once the puppy has neared the end of growth1. Other treatment modalities include the use of bracing when surgery may not be an option due to the dog’s age or comorbidities that exclude surgery as an option. Bracing may also be appropriate for partial ruptures of the palmar ligament or as post-surgical support. 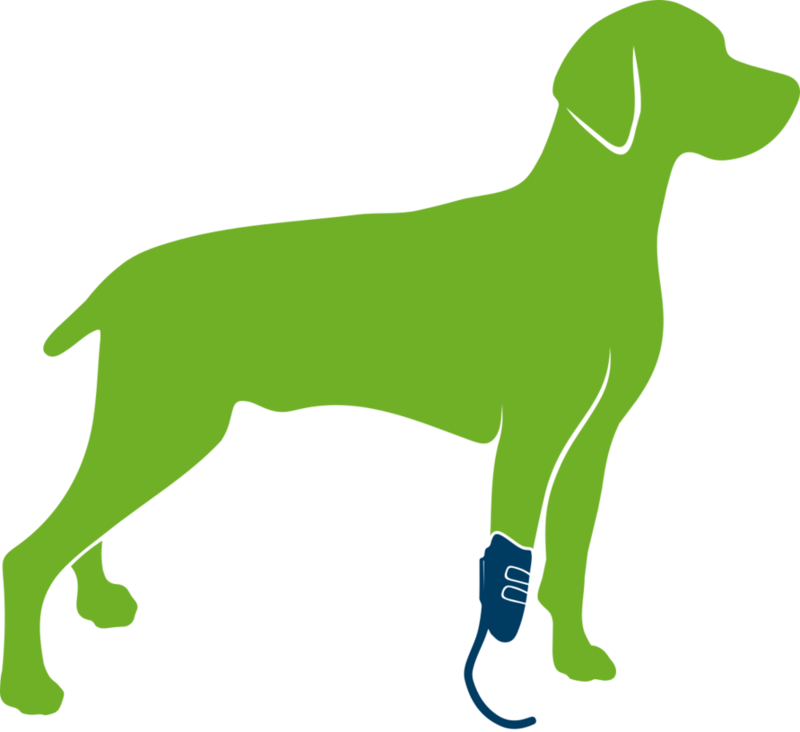 Consult with your veterinarian to see whether the use of a brace is appropriate for your pet.